H.A. Intensifier is a multi-beneficial corrective serum proven to amplify skin’s hyaluronic acid levels. This unique formulation contains a high concentration of pure hyaluronic acid, proxylane™, and botanical extracts of licorice root and purple rice to support skin’s hyaluronic acid levels and deliver surface hydration, helping improve the visible appearance of firmness, smoothness, and facial plumpness. Hyaluronic acid is a powerful natural humectant which helps regulate moisture levels in skin. This essential molecule however has a short lifecycle in skin, with 30%-50% degrading every 24 hours. With age, the skin experiences a gradual decline in hyaluronic acid levels. Production starts to decrease in the 20s and accelerates in the 40s. The combination of decline and this rapid degradation of hyaluronic acid contribute to signs of aging, including decreased firmness, less facial plumpness, and rough texture. 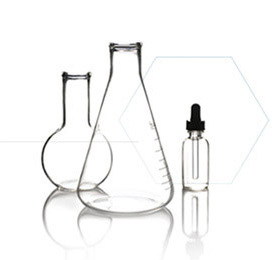 While hyaluronic acid is a powerful hydrator, its molecular size renders it too large for optimal skin absorption. H.A. Intensifier uniquely combines surface-hydrating hyaluronic acid with 10% proxylane and an optimal concentration of licorice and purple rice extracts to support skin’s hyaluronic acid levels. Once or twice daily, apply 4-6 drops to the palm of the hand and dab onto forehead, cheeks, chin, and neck. Blend the product into skin. If using in the morning, apply after a SkinCeuticals vitamin C antioxidant serum and before a SkinCeuticals sunscreen. If using with a retinol at night, apply after retinol application. H.A. Intensifier is rated 4.7 out of 5 by 368. Rated 5 out of 5 by maldonado from Serum that works I am always skeptical of serum because I just haven't found one that I see results from. This serum is the first one that I can see results after using for just one week. I am starting to get fine lines around my mouth and eyes. I have larger pores on my cheeks and nose along with dry skin in those areas as well. I use this every morning before I put my foundation on and there has been some immediate results. My skin feels soft even, no drying out or breakouts have occurred. The lines around my mouth and chin are not standing out as much and I haven't needed to apply a ton of moisturizer because this really makes my skin look hydrated. Rated 5 out of 5 by Raynor from AMAZING111 I have been using Skin Ceuticals for 15 years, I am 57 years old. I started using H.A. Intensifier about 6 weeks ago and am amazed at the results. My skin has been incredible since I started using Skin Ceuticals and I always get compliments on how nice my skin looks, but I now have complete strangers commenting on my skin's appearance. I have also had several friends ask me what I have done to my skin because I have no visible lines. Although this product may be a bit expensive it is worth every cent. I use it everyone morning following the routine given for it. I no longer need to wear face make up because my skin is that clear. Rated 3 out of 5 by Humienny from Intriguing product I received a (very) small sample size in exchange for an honest review. I used the entire product along with the Creme I received in hopes of noticing a difference in my skin. As I near 30 I’m getting concerned with aging and have been looking for great skin care products/regimes. Unfortunately, I didn’t notice a real difference in my skin after using this. It was very nice texture, absorbed well on my skin, smelled good, etc. but I don’t think I was able to use it long enough to see any results. My skin was a bit broken out during the use, I don’t think it was FROM this product, but that may have been part of the issue with seeing results. Rated 4 out of 5 by M from Amazing Results!!! The texture of this product was very interesting. It was gel like, but more on the serum side. Instead of spreading all over my face and staying on the surface, it started absorbing right away. My skin has become increasingly dehydrated over the years so I have tried a lot of products to replenish my skin. The very first time I used this my face glowed, and I'm talking right when I put it on. I will say that I do not like the smell. I am pretty sensitive to smells so if you are too, this may be a challenge. I think it's worth enduring the smell to get the amazing results that, for me, were almost instant. Rated 5 out of 5 by Powers from My new forever product! This product is my new favorite in my skin care routine! As someone with dry skin and as someone that also uses multiple products to layer, the HA Intensifier is the perfect product to provide moisture while also creating the perfect base to absorb my other products into my skin. I use this product after my toner and it makes my skin feel so silky and allows me to layer my other products on top. I am also concerned with my "laugh lines" around my mouth and this product helps to make the lines around my mouth seem less harsh. I have only been using it for a week and I already notice a slight difference especially when applying make up and I can't wait to see how it works in a few weeks. Rated 5 out of 5 by Weberg from My New Favorite! I have been using the HA Intensifier for 4 weeks. I love this new serum. I am 52 and have been using SkinCeuticals products for 13 years now. This serum has a lovely berry color to it, although it does not look like berry when put on your face. I use this in the morning after my CE Ferulic serum. The funny part, I couldn't figure out that when I licked the edge of my mouth, I kept tasting something sweet. I figured it out, it is the licorice root in the serum. The only thing I am not fond of is the dropper that comes with the bottle. It is difficult to get the product out of the dropper. Maybe it is because the serum is a bit on the thick side. This is definitely a staple in my SkinCeuticals regimen. Rated 5 out of 5 by KAte from I'm well-mature and this is good stuff. Got a free sample with my paid order. Been using SkinCeuticals for 10 years. To get a better idea of how effective it would be I tried it only on my upper lip fine lines and the marionette lines. I saw an immediate improvement. It is heavy some of the time. Perhaps it depends on how well I wash my face beforehand, or if I apply it over or under the B5 gel. But these results are worth that minor quirk. I've been applying it 2x per day. Next I'll try it on the crow's feet. I have been using the B5 hydrating gel, which performed nicely, but this HA is a nice boost for my skin. Thanks for the sample. Rated 5 out of 5 by Lomicka from Marvelous Product for Aging Skin At the suggestion of my skincare professional, I started using this product in conjunction with the Replenishing Cleanser Cream (started first) and the Triple Lipid Restore (added second). Until I added the Hyaluronic product, there was minimal difference. Adding the Hyaluronic made ALL the difference. In a month, my skin was plumper, smoother, more supple and no longer dry and dull. I am 68 years old ... and live in a dry climate 6 mos of the year. I do not have a lot of facials, but I do have a machine micro dermbrasion every three weeks. I use the Triple Lipid Restore in the morning right after cleansing. After five minutes, I apply my usual moisturizing products on face/around eye. At night, I do the same but replace the Triple Lipid with the Hyaluronic.